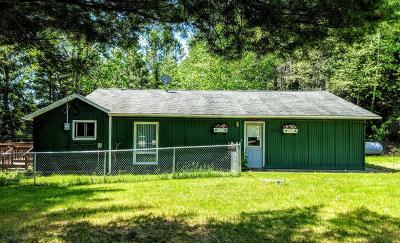 Here, enjoy a location along the scenic shores of 563 acre Soo Lake, a class A Musky lake and full rec lake. This lot is spacious, wooded with mature trees, with a fenced area and a newer lakeside deck. There is an attached garage with extra storage/work space, and a spacious utility room. Once inside, this home has an open kitchen/living area with plenty of room to entertain, and sliding doors to the lakeside deck. There are 2 bedrooms, one with a walk in closet, and a full bath. 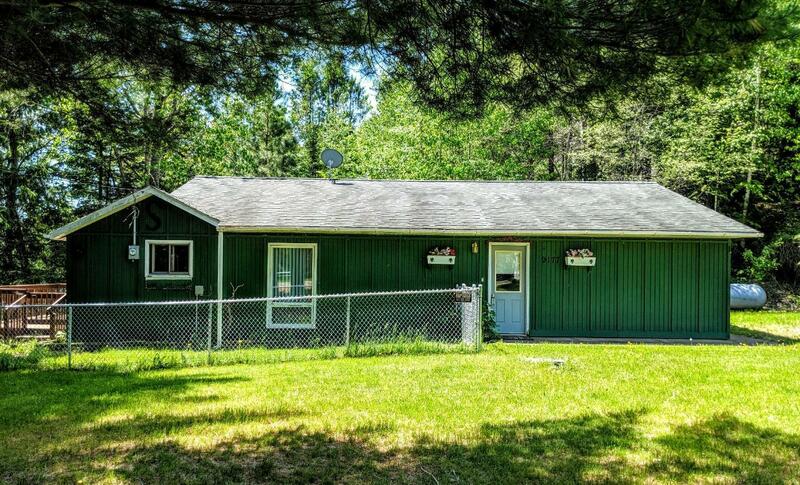 This location offers easy access to ATV/snowmobile trails and is minutes from 1, 000s of acres of public hunting land and is near the Flambeau State Forest, Elk Management area and the S Fork of the Flambeau River. There are places to eat and drink by boat, and you are minutes from downtown Phillips. This property is priced to move quickly. Call today for details!